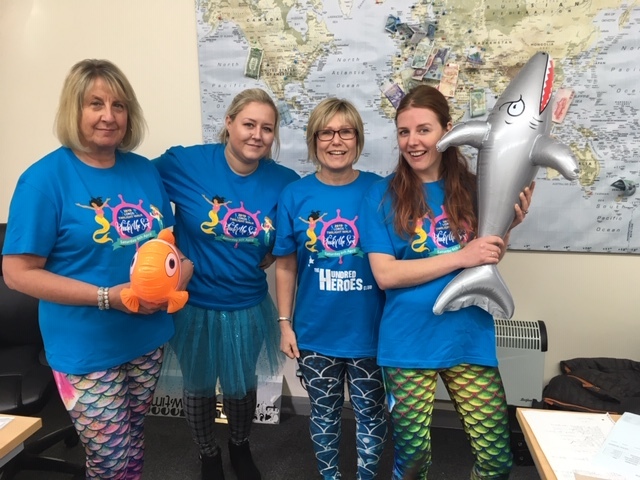 Keep an eye out for further photo updates as this years theme is Under the Sea, so expect to see 2,000 ladies dressed up as sharks, carrying crabs and fishing nets. We know there will be lots of pretty mermaids walking the streets of Leicester! LOROS Hospice is a local charity and every year they care for over 2,500 people across Leicester, Leicestershire and Rutland. They provide free, high-quality, compassionate care and support to terminally ill adult patients, their family and carers. How your donation could help: £5 could pay for meals for a patient for a day. £10 could pay for collection of a patient from home to our day therapy. £25 could pay for a protective uniform for a nurse. This entry was posted in Westermans News and tagged cancer, charity, loros, walking. Bookmark the permalink.